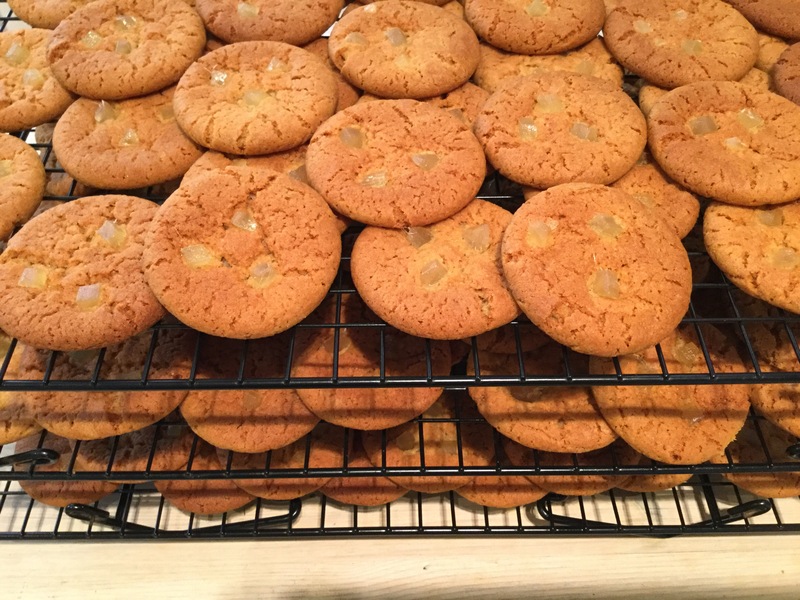 The last batch of biscuits have been baked for Penshurst Farmers Market on Saturday 3 June – now they just need to be packaged. These are ginger biscuits, topped with stem ginger and would be delicious with ice cream, fruit, a cup of tea or even with a crumbly white cheese! I have lost count of how many biscuits that is in total, but I think it is somewhere in the region of 1,000. I will have tasters available for most of the biscuits so if you are near Penshurst tomorrow morning between 9:30 and 12:00, why not come along and try before you buy.